ARLINGTON, VA; May 7, 2012 -- PBS announced today that “Sherlock” has a welcome home in the 21st century — Sunday night’s premiere of MASTERPIECE MYSTERY!’s second season averaged 3.2 million viewers, not including those viewing through station replays, DVRs or online streaming. (Nielsen Fast National data, 2.1 household rating.) The premiere of the second season of the BAFTA Award-winning series more than doubled the average PBS primetime rating (based on metered market averages). 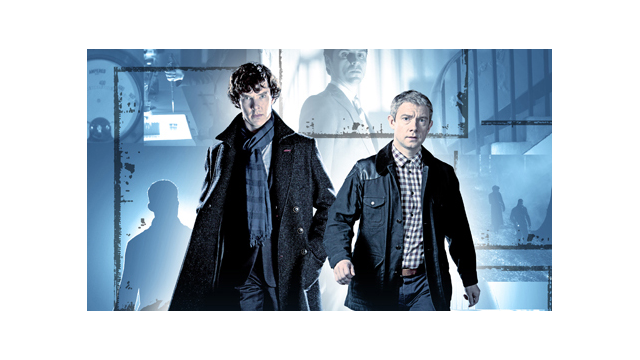 New episodes of “Sherlock” debut each Sunday night on MASTERPIECE through May 20. About Masterpiece MASTERPIECE on PBS is presented by WGBH Boston. Rebecca Eaton is executive producer. Funding for MASTERPIECE is provided by Viking River Cruises, with additional support from public television viewers and contributors to The MASTERPIECE Trust, created to help ensure the series’ future. About WGBH WGBH Boston is America’s preeminent public broadcaster and the largest producer of PBS content for TV and the Web, including Masterpiece, Antiques Roadshow, Frontline, Nova, American Experience, Arthur, Curious George, and more than a dozen other prime-time, lifestyle, and children’s series. WGBH also is a leader in educational multimedia, including PBS LearningMedia, and a pioneer in technologies and services that make media accessible to the 36 million Americans who are deaf, hard of hearing, blind, or visually impaired. WGBH has been recognized with hundreds of honors: Emmys, Peabodys, duPont-Columbia Awards—even two Oscars. Find more information at www.wgbh.org.